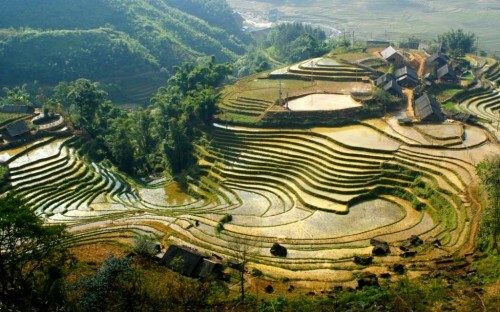 Cheap flights to Vietnam: Ho Chi Minh City for €400! 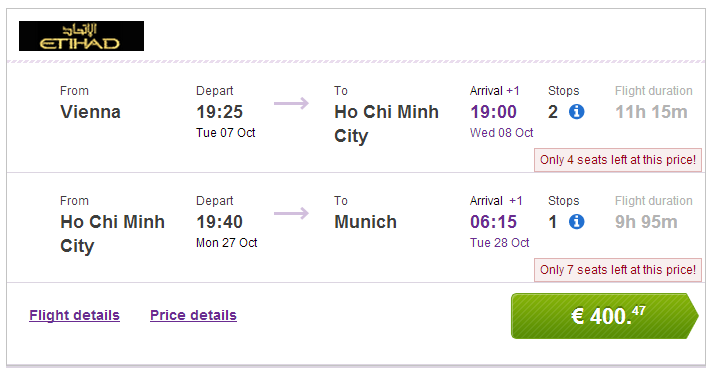 Multicity tickets Vienna – Ho Chi Minh City – Munich are available for only €400. Ho Chi Minh city is also known as Saigon. Travel dates limit departures from middle of August until end of November. Book via BudgetAir (click on Show extra search options to enter return to Munich). Ho Chi Minh City offers wide range of accommodation options from cheap hostels to luxurious international hotels so everyone will find place to sleep suiting his needs. It is a good idea to explore a bit more than just Ho Chi Minh City on a trip and the easiest way to do this is to rent a car and go on a small roadtrip. Be prepared that driving a car in Vietnam can be kind of dangerous so you should be experienced driver. Prices of car rental are generally pretty low in the country. « Cheap last minute flights to Greece: Kalamata for €58!